If you live or work in Fort Lauderdale and get into a car accident, then you are going to need the best Fort Lauderdale car accident lawyer you can find. You should be careful who you choose – it will make a difference. First, consider the source. How did you find out about the attorney you are considering? Advertising? That only guarantees the law firm spends money on marketing. Advertising budgets do not mean that you will end up with the best Fort Lauderdale car accident attorney. We suggest that you use the internet and do your homework. Look at the attorney’s ratings and reviews. Consider recent results. Interview the lawyer. Remember, you are the client and that attorney will work for you – not the other way around. If you put the time in, you will have a much better chance at finding the best Fort Lauderdale injury lawyer for your car accident case. At the Wolfson Law Firm, our Fort Lauderdale car accident attorneys have sought justice and fair compensation for South Florida car accident injury victims since 1963. They know what to do and they are ready to help you right now. They have offices in Fort Lauderdale, West Palm Beach and Miami. Call the Wolfson Law Firm toll-free at (855) 982-2067 or (305) 285-1115 for your free consultation. What once was a city for young people to come and enjoy spring break and summer fun, has since changed to cater the wealthier side of life. Cruise ships, hotels, shopping centers and luxury condos all are ready and available for anyone with enough money to enjoy the finer things in life. Yachts make their way in and out of the Ft. Lauderdale harbor, being one of the city’s staple businesses, another reminder of the transformation this city has gone through over the past few decades. 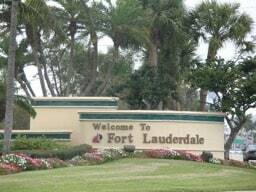 Fort Lauderdale, unfortunately, has one of the worst driving records in the entirety of the United States. According to CNBC, Fort Lauderdale holds the number one spot for most fatal accidents in the US, with an approximate 22% fatality rate per 100 thousand population. This puts it second only to Orlando, with an estimated 19%, and 11th to Jacksonville, which has an approximate 14% rating. Jonah Wolfson is the managing attorney of the Wolfson Law Firm. 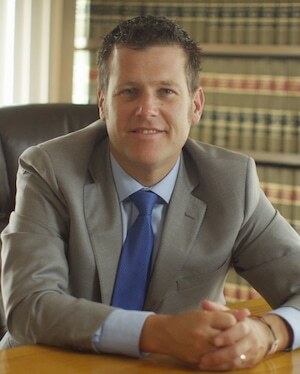 He is a bilingual Fort Lauderdale accident lawyer and wrongful death attorney. Jonah’s personal injury legal team is ready to help you. Call us at 1-855-982-2067 and we can get to work on your case immediately. The Broward accident and injury lawyers at the Wolfson Law Firm offer complete and responsive personal injury legal representation to the good folks of Fort Lauderdale, Broward County and all of South Florida including the communities of Plantation, Sunrise, Wilton Manors, Pembroke Pines, Hollywood, Miramar, Coral Springs, Pompano Beach, Davie, Deerfield Beach, Lauderhill, Weston, Margate and Coconut Creek.